As Tropical Storm Isaac threatens to accelerate into a Category 2 hurricane targeting the Gulf Coast, it’s a reminder to homeowners in areas exposed to such destructive storms that they should always have measures in place to protect their homes from such severe weather. o. Wash out all your rain gutters and exterior drains to avoid water backups. Water in gutters may not just spill over onto the ground — it could back up and cause water to seep into a home’s walls. o. Install a battery backup system for your water pump to guard against flooding and interior damage. “When these storms come through, power lines are knocked down,” said Dale Tomlinson of ACE. “So it’s important that you do have a battery backup to keep that [pump] going while there’s water coming.” Having a backup generator is also a way to ensure that necessary equipment can continue to function in the event of a blackout. o. Reinforce your windows with shutters, add heavy-duty hinges and deadbolts to doors, and make sure that roof sheathing can withstand strong winds. 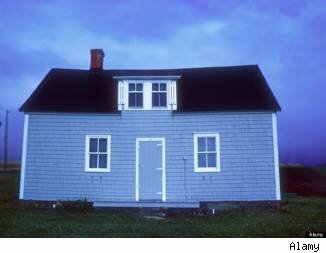 If wind bursts into your home, the risk of structural damage to the home’s roof and doors increases substantially. “The internal partitions of your home are not built to withstand positive and negative pressures from the exterior,” Tomlinson said. o. Trim trees whose branches could fall and cause damage, and be sure to clear all items that could become projectiles during a storm. “Move any outdoor furniture that could become debris that would either float or cause damage,” Tomlinson said. In order to safeguard your home’s value, you should make sure that you have homeowners insurance, flood insurance, and, in some cases, wind insurance. Flood insurance covers water damage and can be obtained through the government’s National Flood Insurance Program. The government insurance, which has a $2,000 deductible for high-risk areas, may cover up to $250,000 in property damage and $100,000 in damage to personal belongings, depending on the premium you choose to pay. To receive coverage for damage beyond those two amounts, you can sign up for a supplementary policy with a private insurance company like ACE.